The AMEX Blue Cash was my 2nd Credit card ever, and I love it. 3% back on groceries, 2% back on gas & certain stores, and 1% back on everything else. I look forward to holding this card my entire life, and upgrading it to the Blue Cash Preferred for 6% back on groceries & 3% back at Gas stations & certain stores once I have a family! I would recommend anyone who does not have a family yet to get this card. If you have some hungry mouths and spend more than $31 at the grocery market per week, get the Blue Cash Preferred! my scores are 825,813 amd 840 i was approved for $13,800. If you have a ton of cards and a revolving balance, most banks will give you a small line on new cards. And if you already have an Amex card, it's almost guaranteed you'll get a smaller line on that second card. You did not provide any of this information, so maybe the you should get 1 star as a customer. I didn't have bad credit, I just had no credit. Spent 30 years paying cash or using my debit card. Decided I needed to play the game if I wanted a good credit score. 7 months after I got my very first credit card (Cap One $2,500 limit), I applied for a Blue Cash card. I was disappointed they didn't offer me the bonus, but beggars can't be choosers. I was only approved for $500 with a 669 Experian score. I used the card for gas and groceries and little oddball stuff. Made one payment a week and only let $20 go to statement each month. Made my payments and after 5 months they raised my limit to $1000. I kept doing the same thing, make a payment a week and only let $20 go to statement each month. After 10 months they raised my limit to $3,000 with a 708 Experian score. Amex has been great on the customer service and their phone app is easy to use. Payments post almost immediately. I plan on upgrading the card to the Preferred card after I have had it for a year as I spend more than $66 a week on average for groceries. So far I have run into only two places that haven't taken an Amex card, Great Clips and most doctors offices. 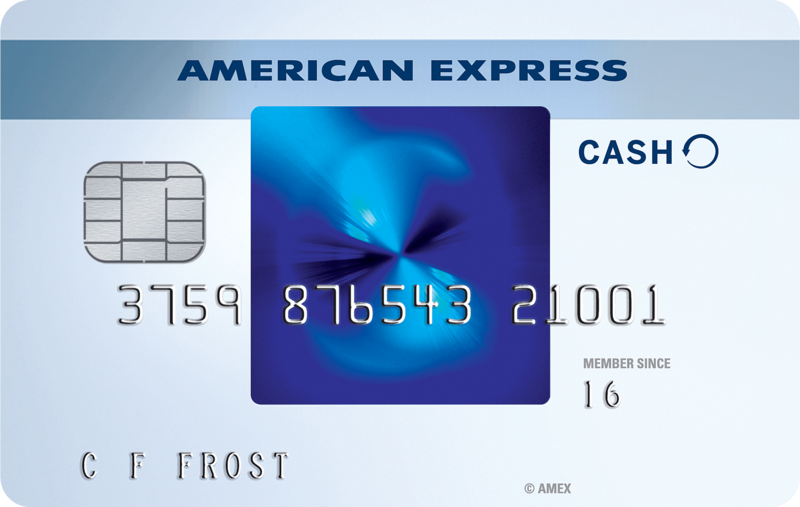 It is a great card and Amex will treat you right if you treat your credit right. Highly recommend. I destroyed my credit by not using it for several years. It’s been rough trying to get it back. American Express has been good to me! Customer service is fantastic! Payments are quick & easy and post immediately. No hidden fees, ridiculous interest or games, just a good place to do business with. I started with a rather low credit limit but it doesn’t matter as you can make payments as often as you like keeping your balance low. Anyone who wants to get their first AMEX card should definitely get this. No annual fee and 15 Month 0% APR for 15 Months. Best cash back card to apply! Maybe you’re asking too much credit increase that’s why they need to do financial review. It was smart of you not to put your tax information out on the web. If the Federal Government can be hacked (OPM) and a major financial institution (Wells Fargo) a credit card company certainly can be hacked to. I have never been asked for tax info, this card comes with major risk. Tax returns may be required for a business card if you are a sole proprietorship. Maybe you applied for a business card.